Do you LOVE Burberry's Pale Barley, but hate the price tag? 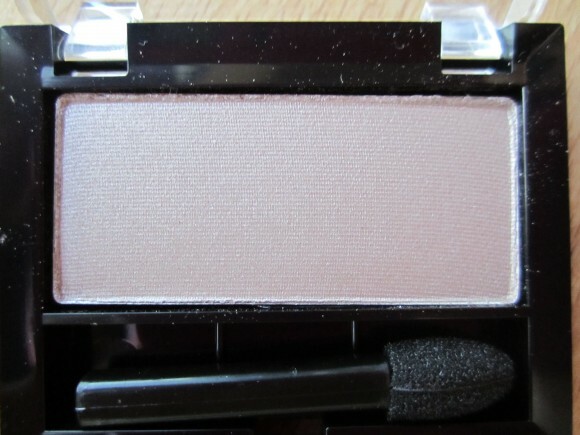 Then look no further than Maybelline's Silken Taupe. I'm a sucker for neutrals; they are easy to apply, forgiving, can be worn alone or used to enhance an overall eye look. Maybelline's version retails between $3.00-$7.00 AUS, whereas Burberry shadows sell for $45.00 AUS. If you're looking for a steal, get ye to your local Priceline. Can you tell how much I love that champagne shimmer? Honestly, I was surprised to see how they looked next to each other after swatching; beige can be complex, if you want it to be. So, where do you draw the line? Does it come down to quality, price, brand, performance or all of the above? With Burberry, I know I paid for quality and the name; their shadows are finely milled, soft to the touch and last well with primer. Maybelline is soft and silky, but I had to work hard for the colour payoff seen above. College Nicole would say "Maybelline!" Adult Nicole ponders "why not buy both?!"